Home for Christmas is the first book in the Standing Stone series, linking together Rachel, Candy and Fern. Each woman lives there own life, though they share the same earth, just in a different time and space. This morning, I’m sharing an extract from Home for Christmas, the first time all three women meet. Though the feeling only lasted moments, Rachel likened it to being trapped inside a raindrop, a myriad of colours swirling with cool wet air, while the drop joined with others and spun and swirled like eddies in a pond. She landed on the grass with a bump and lay back, breathing heavily before sitting up. To her left lay a small woman in a shiny metallic suit, her long auburn hair matted across her face. Rachel crawled over as the woman stirred but before she reached her, a scream from behind her ran down her spine. Another young woman, wearing scraps of fur and bound cloth, knelt at the stone and stared in horror at the sky above her. Rachel crawled over to her, discarding her coat. The air was warm though no sun shone. Above them, the sky gleamed cerulean but as Rachel scrambled up off her knees, beyond the green hilly mound was pure white nothingness. She put her arm around the young woman’s shoulders, her screams having lessened to shaky, gulping sobs. “It’s okay,” she said, gently, “You’re okay. I’m Rachel,” she added. Candy stood in a dark blue jumpsuit, her bio suit discarded on the grass, refastening her hair band and knotting back her auburn dreads. 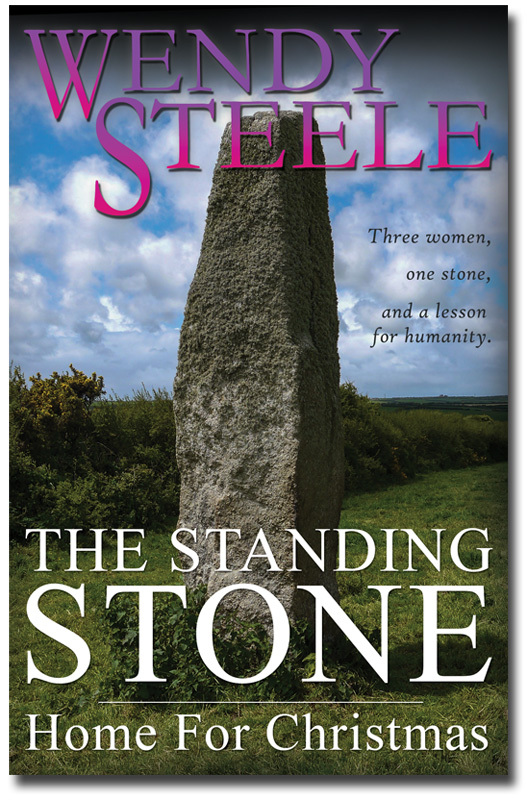 Begin your journey to the Standing Stone today!